Another Random Act of Kindness! A smile. An encouraging word. A thoughtful gesture. Nearly every day we interact with people, in our lives and on the web, people who often help us and make our day a little brighter. This notion is especially true in the Writing Community. Take a second to think about writers you know, like the critique partner who works with you to improve your manuscript. The writer friend who listens to you, supports you and keeps you strong when times are tough. The author who generously offers council, advice and inspiration. So many people take the time to make us feel special. They comment on our blogs, re-tweet our posts, chat with us on forums and wish us Happy Birthday on Facebook. 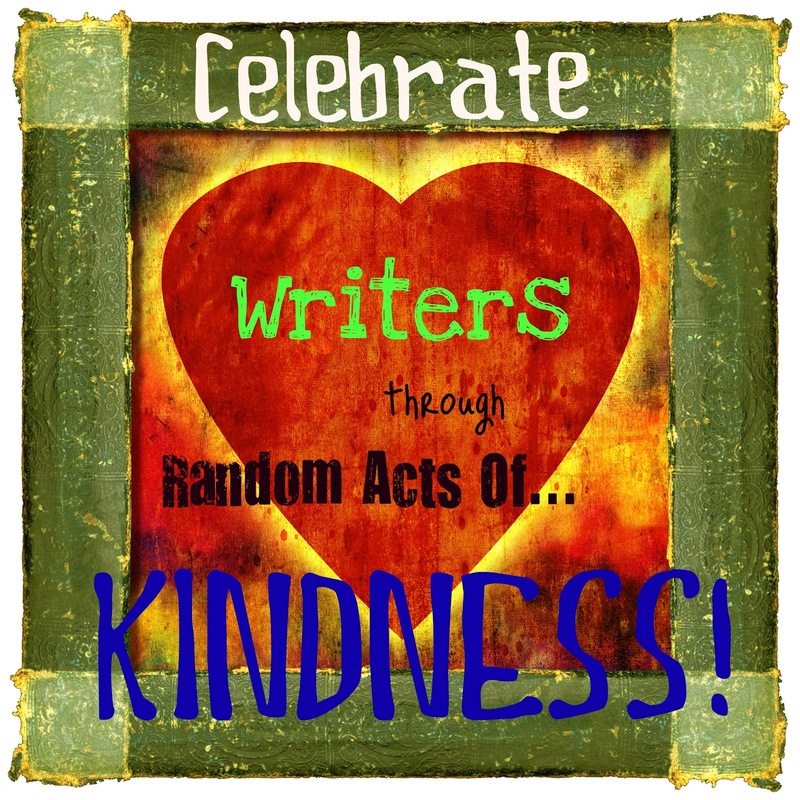 To commemorate the release of their book The Emotion Thesaurus, Becca and Angela at The Bookshelf Muse are hosting a Random Act Of Kindness BLITZ. Because I think KINDNESS is contagious, I’m participating, too! I randomly picked the marvelous young woman who has been consistently giving my chapters great critiques. I use the word, randomly, because there are so many writers (and non-writers) who are helping me along the way, including sites and blogs who don’t even know I exist. So many writers, including successful authors, are motivated to inspire and instruct us beginners. Pass on the Kindness bug and celebrate our Writing Community!